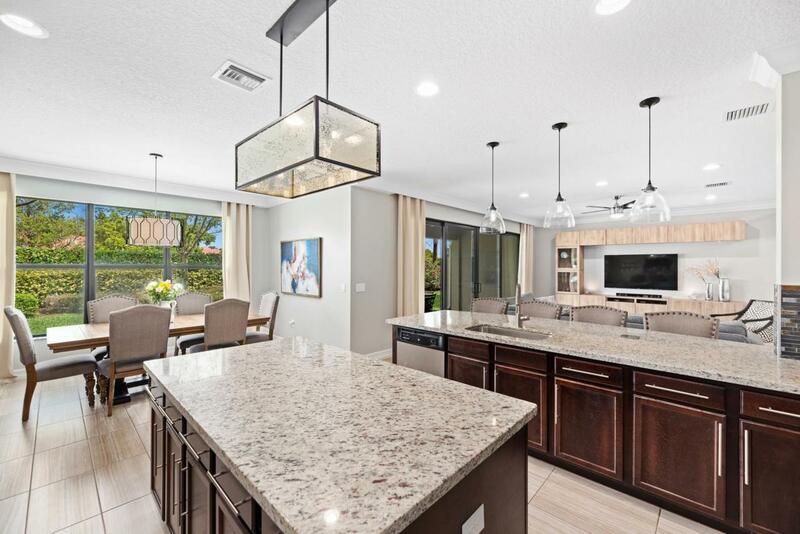 This beautiful Siena model has 4 bedrooms (1 downstairs), 3 full baths + loft, open floor plan, covered patio with extended upgraded pavers & 2 CG. The living area includes a customized modern built-in wall unit with stylish ceramic plank tile flooring. Charming drapery and crown molding throughout complete this gorgeous home. 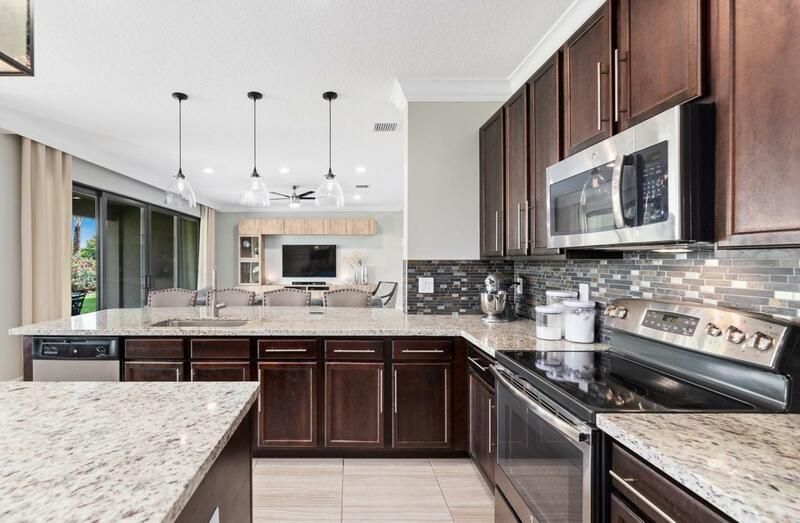 Amazing kitchen has custom lighting over center island & peninsula, brown cabinets with granite countertops, modern backsplash, under-mount sink & S/S appliances. The Master retreat has a coffered ceiling, his & hers walk-in closets, dual sinks, Roman tub, and a walk-in shower. Laundry room upstairs has tons of cabinets & upgraded front loaders. 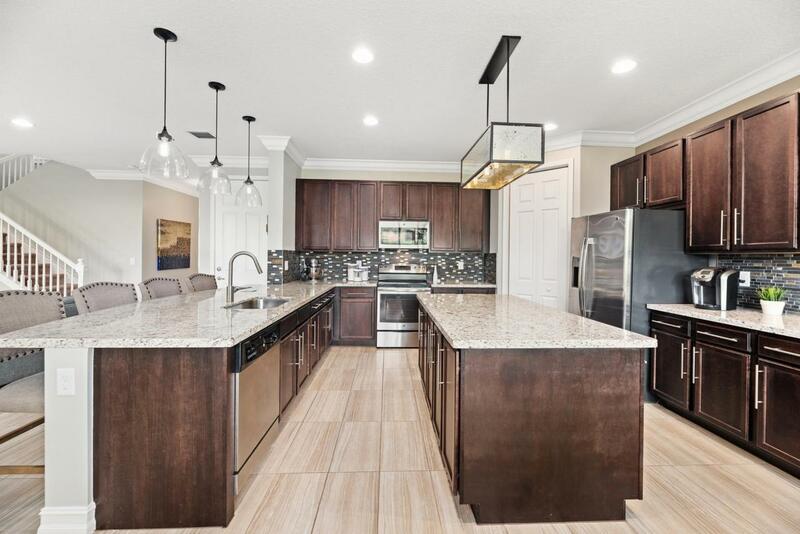 Additional features include high hat lighting, ceiling fans, whole house gutters, the home opens with automated door locks,has smart dimmers, extra shelving in garage and sits on a private lot with no rear neighbors. TUSCANY South has unmanned gate, low HOA dues & amazing amenities: clubhouse, pool, tennis court, tot lot, outdoor basketball, and manager on site. 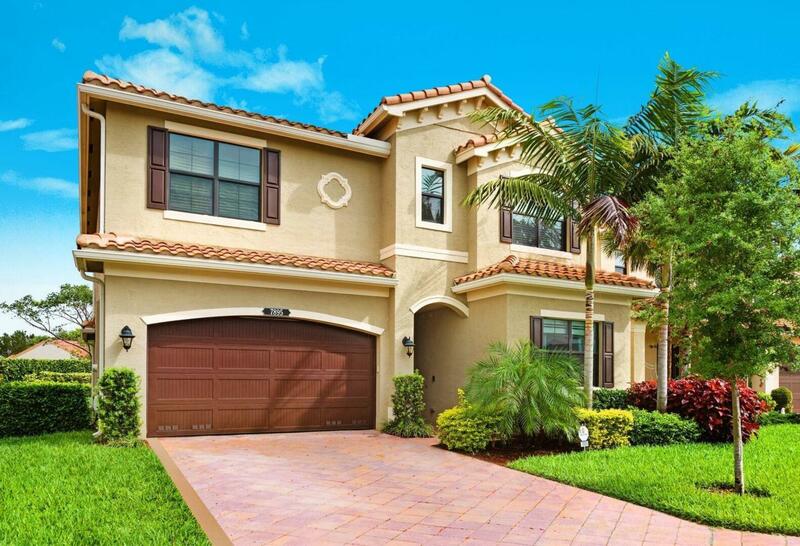 Minutes to the Delray Marketplace and only 7 miles to downtown Atlantic Avenue & Beach.